A young boy was on the brink of death due to his parents’ neglect but, thankfully, an older sibling turned in his mother for her devastating treatment of the child. 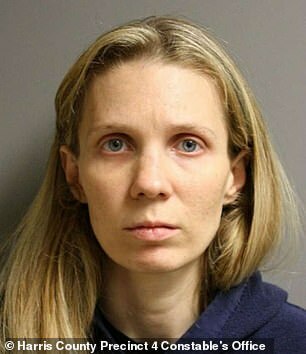 Tammi Bleimeyer, a mother of seven children, was sentenced to 28 years in prison for starving her five-year-old stepson. The boy, Jordan Bleimeyer, was forced to wear a diaper and sleep in what the family called the “Harry Potter room,” a tiny closet located under the stairs. His stepmother was found guilty of injury to a child by omission for her mistreatment of Jordan, including making him sleep in the crawlspace that had exposed nails and wiring and nearly starving him to death. At the time he was rescued, Jordan only weighed 29 pounds and his state of malnourishment was compared to a Holocaust survivor. The boy’s father, Bradley Bleimeyer, pleaded guilty to the same charge in 2016 and was sentenced to 15 years in prison. The parents were reported to authorities in 2014 by Bleimeyer’s son, who was 16 at the time, as he explained Jordan was being abused by his mother and stepfather. Bleimeyer, who was pregnant at the time, took Jordan from the home and refused to return when police showed up. She was tracked down by investigators who traced her cell phone records to a nearby motel. 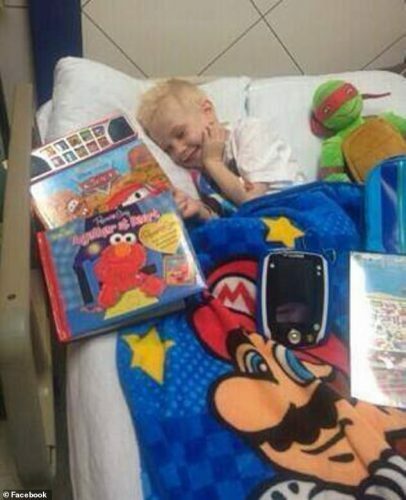 There they found Jordan, who was severely malnourished and covered in bumps and bruises. 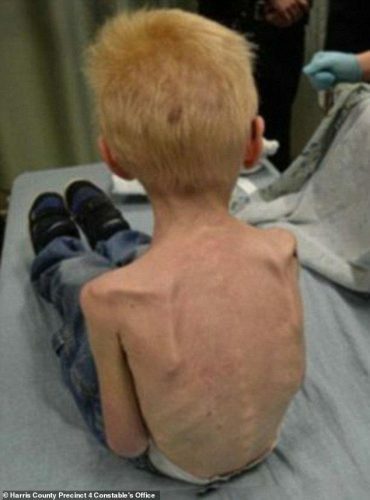 The child was rushed to a hospital, with a doctor noting he had suffered “severe physical abuse and habitual starvation” and, had he not been rescued, likely would have died within days. During the trial, prosecutors revealed that Jordan was not allowed to eat at the dinner table with his siblings, who were Bleimeyer’s children. He was fed a slice of bread a day and it was taken away from him if he didn’t eat it quickly enough. According to reports, the boy was also allegedly drugged by his father so he would stay quiet when guests were visiting the home. Jordan’s 16-year-old stepbrother also reported that the boy’s head had been slammed into the wall and the child was stunned with a Taser. Child Protective Services had visited the home the month before the teenager reported the parents, the Houston Chronicle reports, as the CPS had been called to the home several times and were investigating the family. Bleimeyer was arrested and charged in February 2015; she was sentenced following 10 days of testimony.